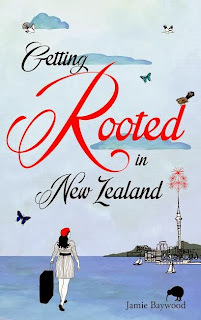 Rather exciting I was recently contacted by the incredibly lovely author Jamie Baywood who wrote Getting Rooted In New Zealand asking whether I would like to feature her on my blog. Of course, I jumped at the opportunity and soon sent a list of questions to Jamie for her to answer. So, I am very happy to introduce Jamie to all of you and I hope you enjoy reading her answers as much as I did! 1. What inspired you to write a book? 2. What do you like best about writing? I consider myself an accidental author. I didn’t go to New Zealand with the intentions of writing a book about my experiences there. I had funny experiences that I had trouble believing were true. I wrote the stories down to stay sane. I wrote situations down that were happening around me and shared them with friends. The stories made people laugh so I decided to organize the stories into a book and publish in the hopes to make others laugh too. My education is in fine arts, I didn’t write until I moved to New Zealand. 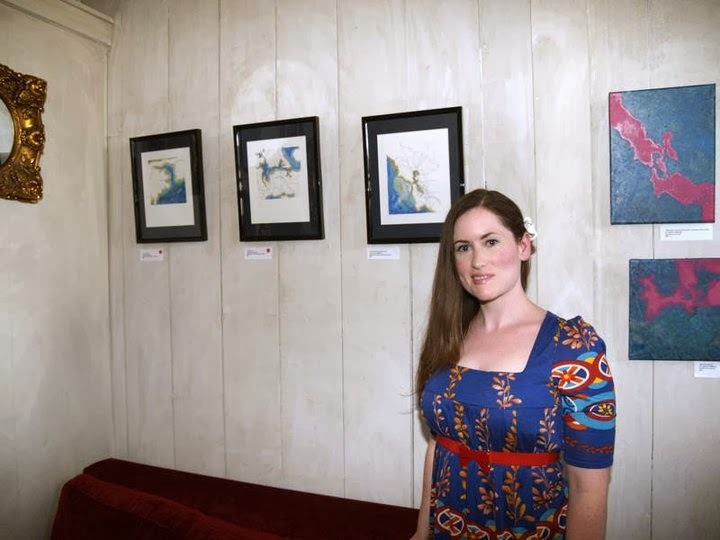 I had a lot of art shows in California and New Zealand and even managed an art collective in Auckland. I was bored with the fine art scene. Everything has already been done before in painting, but I am the only person that can tell my own story. Writing feels like a more honest form of art than any other method I’ve tried. 3. What advice would you give to anyone who would like to publish a book? 4. What do you like to read in your spare time? May I Ask You Something? by Cyan Corwine. 5. We would love to hear a bit about your book. By the age of twenty-six, I was actually much happier being alone than dating, but I was completely bombarded by guys trying to date me. I read in a New Zealand tour book that the country’s population has 100,000 fewer men than women. I wanted to have some me time and an adventure. New Zealand seemed like a good place to do so. Although I intended to have a solo adventure I ended up meeting my husband a Scottish man in New Zealand. Reading my book would be similar to receiving emails from a friend living abroad. I didn’t really come up with the distinct writing style. It’s just how I honestly observed things and described them. I only know how to write my truth. My truth tends to be stranger than fiction. It would be impossible to write down every single thing that happen to me in New Zealand for over a year and it probably wouldn’t be interesting to read. My book is 100% true. These are 100% my experiences. I have changed some the names, but not all of individuals and organizations to preserve privacy. Most of the book was written as the events happened; it just took me a few years to work up the nerve to publish. To write my book Getting Rooted In New Zealand, I relied upon my personal journals, e-mails, and memories. In February 2013, I organized my stories into a cohesive narrative. It went through several rounds of editing and then I published in April. I love making people laugh more than anything else. I love hearing from readers that my book is making people laugh out loud. The hardest part has been when people don’t understand my humour. I have been in a lot of situations where I had two choices: laugh or cry. I’ve chosen to laugh. I write my experiences from a purely personal standpoint. Compared to other travellers who worked abroad in New Zealand my experiences have been very unusual. I would highly recommend everyone goes to New Zealand to experience their own adventure. I think readers need to remember this is the dairy of a young, hormonal and confused twenty-something, this is not a travel guide to New Zealand. 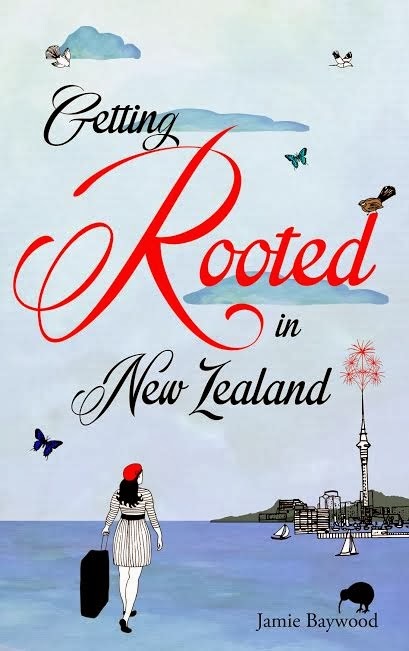 I am sincerely appreciative of everyone that has read Getting Rooted in New Zealand. I’m absolutely grateful that readers are enjoying the book and reviewing it positively. I love making people laugh. I hope you enjoy Getting Rooted in New Zealand! 6. You have obviously travelled a bit, what are your travel essentials? 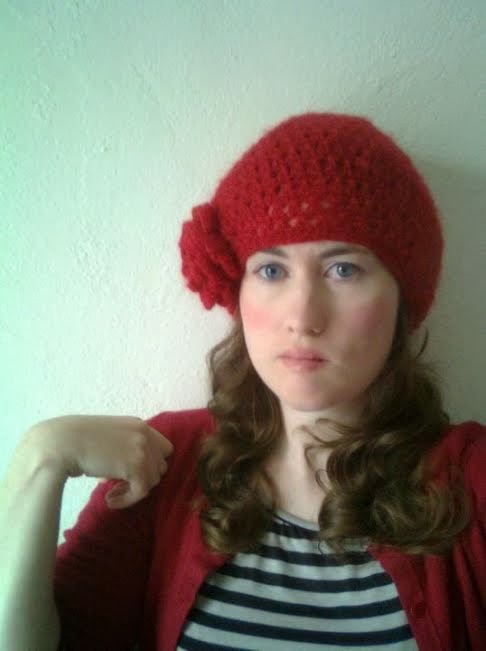 My style is classic girlie girl. I only wear dresses, never jeans or trousers. I would love to raid Mad Men’s voluptuous Joan’s closet. I don’t like to carry too much with me. I just usually have the basics; phone, keys, lip gloss, credit cards, and hopefully some cash. 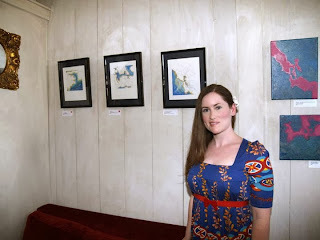 When I was in American Samoa I bought a colourful cotton tunic style shirt. I wear it as a dress with leggings way too often; it’s great to travel in. The less you wear the easier it is to get through airport security. 7. What was your favourite thing about New Zealand? 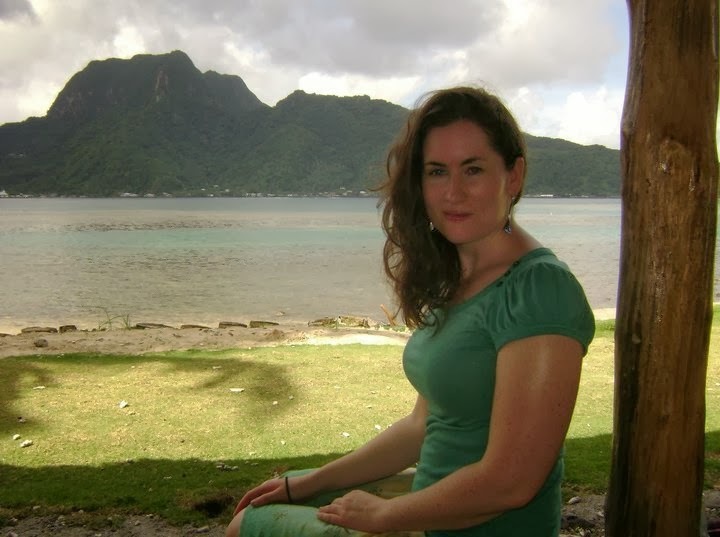 Following my dream to live abroad by moving to New Zealand was absolutely liberating. New Zealand turned me into a writer. I have absolute gratitude for every experience and everyone I met. It taught me to trust myself and believe in myself. New Zealand is such a beautiful country. Beaches, mountains, glaciers, lakes, forests, islands, New Zealand’s got it all. It has such freshness about it, like the islands just emerged from the sea. It feels like anything is possible in New Zealand. I also loved the quality of light in New Zealand. It was like looking through a polarized lenses, but more intense. Everything is so colourful and vibrant. By the end of Getting Rooted in New Zealand, it was time for me to go, but I would be open to moving back there. 8. Are you planning to write anything else in the future? I haven’t stopped travelling since I moved out of California in 2010. I never moved back to California. For over three years, I’ve been disassembling and reassembling my life by moving to different countries. I’ve lived in five countries now America, American Samoa, New Zealand, Scotland and now England. I plan to divide my books by the countries I’ve lived in. My next book will be about attempting to settle in Scotland. I plan to publish it late 2014. I hope you enjoyed this post and I just want to thank Jamie for wanting to be a part of this blog and share her book and experiences! You can follow Jamie on Facebook, Twitter and Goodreads and be sure to have a look at her book over on Amazon!